Seneca begins his twentieth letter to his friend Lucilius by asking him to prove his words by way of his actions, testing his progress as a student of Stoicism by in terms of what he does, rather than merely what he writes. It is a stark reminder that Stoicism is a practical philosophy, meant to actually be deployed daily during your life, not simply contemplated for a few hours a week, when we may be leisurely reading a book. Why do people behave incoherently, then? According to Seneca, this is the result of two problems. The first one being that too many people are simply not bothered by the inconsistencies between their actions and their words, i.e., they don’t take the pursuit of virtue at heart. The second one is that, even if some people are so bothered, they too easily slip back into old habits, out of lack of wisdom. In a sense, many of us simply don’t take our life seriously enough, conducting it as if we were in a game, where we make up our mind about what to do on the spur of the moment, without a compass to guide us through. Seneca imagines Lucilius objecting that he has a large household to take care of, and that he therefore needs a lot of money. That may be the case, says the philosopher, but his dependents will support themselves if he stops indulging them, going on to suggest that one advantage of poverty (or at least of modest means) is that it immediately reveals who your true friends are: those sticking around even when there is little material advantage to be gained. Interestingly, however, Seneca then engages in a short imaginary dialogue with Epicurus where he points out that the rags ought to be worn by choice, not necessity, or it is going to be difficult to determine whether the person in question is truly virtuous or simply unlucky. This is one of my own regular practices, which can take the form of a cold shower (to remind myself of just how good it is to be able to take hot ones), a day or two of fasting (to better enjoy the next meal), a week or so of not buying anything other than food (who the hell needs all that stuff that corporations are trying to sell us anyway? ), or a brisk walk in the cold while being underdressed (to appreciate how lucky I am to have a coat). Deprivation exercises, then, have multiple functions: they test our endurance, they prepare us for possible adversity, they remind us that a lot of things we think we need are not really necessary, and they reset our hedonic threadmill, making us appreciate what we have all over again. This entry was posted in Seneca to Lucilius on November 20, 2017 by Massimo. This is a huge part of being Stoic, and what sets us apart from most other people. Last week I had a discussion with a group of friends of taking cold showers. I have been taking cold showers for over a year now; first out of necessity because I was without warm water for a week, then I just stuck with it Granted, I was living in Spain back then and the water was never really cold. Now that I live in the Netherlands and winter is around the corner, I love taking cold showers even more because they are REALLY cold now. My friends could not understand why I would voluntarily take cold showers and never even turn on the hot water (I exclusively take cold showers now), to them it is unnatural to take cold showers if you can take a warm shower instead. 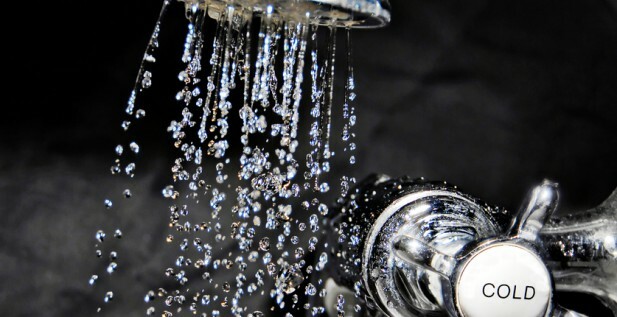 They know the possible health benefits of taking cold showers, and still don’t do it. When I tell them that it does wonders to my mental state as well, they find it very interesting but will tell me they ‘cannot bring themselves to take even one cold shower’. At the same time these are the people that brought up the entire topic, who see the benefits, but only stick to talking about it and never put their money where their mouth is. Personally, I think this is one of the main problems in modern time; people becoming going too easy on themselves as it has become, because of which they become weak. That is why Stoicism is so great, as it teaches us it is okay to be different. In being different in a Stoic way you build yourself up, while many these days are only bringing their future selves down because they allow themselves to become weak. Just my two cents. This article is a great reminder that action, not words, is what is important. Just remember, these are exercises meant to test your endurance, not to hurt or make you sick! Good luck E.O.! Like Massimo said, don’t hurt yourself. Hypothermia is not a real threat, but don’t go to extremes. The key is that stepping under a cold shower is not pleasant, and it is not pleasant the first few minutes. I use this time to observe my mind and how it reacts on the cold sensation. What is interesting to notice is the emotion it elicits, but also notice the emotion that follows after the initial reaction (which is most often a happy, energized feeling). I know some chemical processes start up in your body, but it is also very encouraging for your mind to notice that it is stronger than the body (if you consciously train your mind, of course). We are made soft in Western society, doing things like taking cold showers and sleeping on the ground will teach you that you can endure more than you think, and that often these things are beneficial in several ways. my problem with any civilian exercise in self deprivation is that I can’t help but know at all times during the process that I have the luxury of an immediate return to comfort. Isn’t the same for the athletes that prepares for a competition, but he is not, currently, under the actual stress of it? I see it differently. It seems to me that the stress of a competition helps the athlete, as well as the lack of choice helps the man feeling better about his luck. For example, It was easier for me to take the bicycle under the rain when I didn’t own a car. I would say that having the luxury of an immediate return to confort and being able to renounce to it is a proof of temperance. Just knowing that I can be temperate (because I have been able to do my spiritual exercise) helps me facing temperately the real difficulties arising in my life.